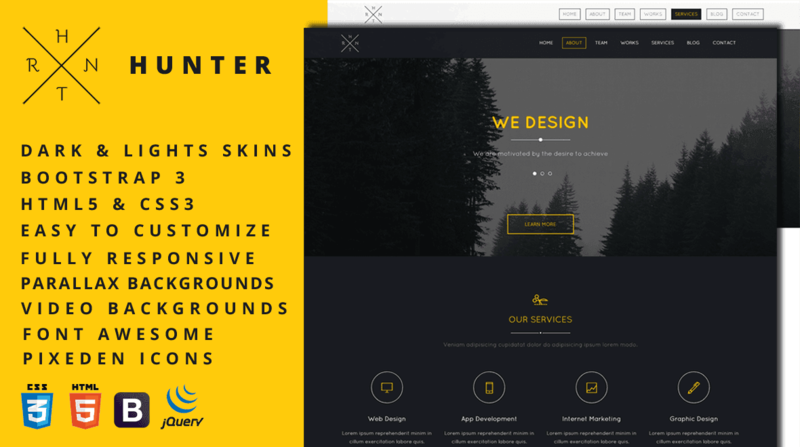 Hunter is an easy to customize, HTML5 & CSS3 template. It's built on Bootstrap 3 framework. It comes with 2 skins (dark and light).